A trio of economists has a suggestion it says will save taxpayers about $4.6 billion per year with no harm to patients: get rid of higher payments to long-term care hospitals. A National Bureau of Economic Research study released Monday found that despite being reimbursed at much higher rates than skilled nursing facilities and home healthcare providers, long-term care hospitals don't produce better outcomes in three important areas: They don't reduce mortality or length of stay and they leave patients with higher out-of-pocket costs. The CMS has taken a number of steps over the years to rein in long-term care hospital spending, including a dual payment system under which such facilities only receive higher payments if their patients meet certain criteria. But Liran Einav, one of the paper's authors and an economics professor at Stanford University, said those restrictions probably cut the facilities' growth in half, but they've still been able to generate significant profit. When the government created long-term care hospitals in the early 1980s, they created an "unintended monster," Einav said. "Since then, the government, CMS didn't try to kill the monster, they tried to just stop it from growing arms and legs," he said. "They created freezes on new beds, new facilities … Part of our point is maybe instead of trying to curb it from growing arms and legs, just kill the monster." Einav's report suggests paying long-term care hospitals the same rate as skilled nursing facilities would cut 1% of Medicare's total spending. More than 70% of long-term care hospitals are for-profit, and the report said the largest such providers, Kindred Healthcare and Select Medical, have reported profit margins between 16% and 29%. A spokesman for Select said the study mistakenly reports its earnings before interest, taxes, depreciation and amortization margin of 13.7% as profit, but the company does not report profit margins as part of financial disclosures. "Select's critical illness recovery hospital segment has never achieved EBITDA margins of 29%," Jeffrey Birnbaum wrote in an email. "In addition, the margins on Medicare reimbursed stays, for both cash flow or profits, have consistently been lower than overall margins." Long-term care hospitals were created in the 1980s to protect 40 chronic disease hospitals from the prospective payment system. At the time, regulators feared the fixed payments wouldn't be enough to cover those hospitals' costs. That small group has since grown to more than 400 hospitals with $5.4 billion in annual Medicare spending as of 2014, the report found. Both Select and the American Hospital Association called the study's findings outdated and said they don't account for a law implemented in 2015 that changed how such facilities are paid and caused up to 7% of them to close. "Moreover, I would say it's written from a purely economic perspective and ignores the fact that LTCHs are needed to provide extended, specialized hospital care to the very sickest of patients," said Ashley Thompson, the AHA's senior vice president of policy. Thompson said long-term care hospitals are required to report patient outcomes measures such as changes in mobility, Clostridium difficile infections and catheter-associated urinary tract infections, which are posted on a publicly accessible website. Neale Mahoney, an author of the report and professor of economics at the University of Chicago Booth School of Business conceded it's possible some patients owe their recoveries or even survival to long-term care hospitals, and that there may be other outcomes measures their study didn't track. But he emphasized the burden of proof is on those facilities to justify the higher cost, especially as taxpayers pay $950 more per day for long-term care hospital stays compared with stays in skilled nursing facilities, per the new report. "If we could look at data and see better outcomes and see whether they're worth the extra $950 a day, that's the way that research and policymaking is supposed to progress, and we'd love to see it," Mahoney said. The average stay in a long-term care hospital lasted 26 days and cost Medicare $36,000 in 2014, according to the report. 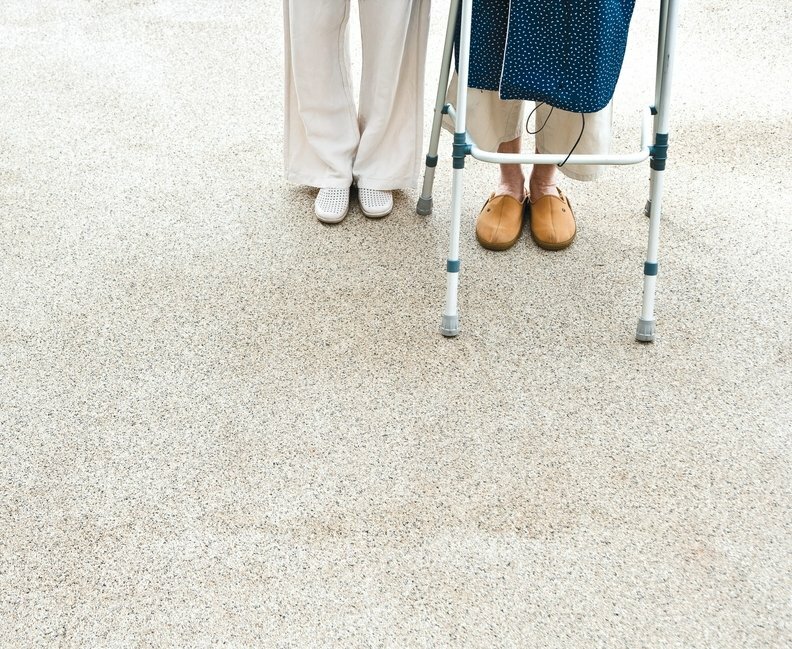 The average skilled nursing facility stay, by contrast, lasted 25 days and cost $12,000, the study found. "At the end of the day, the question is at what point do we say, 'Taxpayers should not pay for extra benefits unless you prove these benefits exist?'" Einav said. "My sense is that the burden of proof is on the industry."